New Georgian carrier Myway Airlines, which is backed by Chinese investors, has made its first flight – Tbilisi-Tehran – hosting media representatives, tour operators operating in the Georgian market and representatives of public agencies. According to Igor Aptsiauri, the new airline’s commercial director, Myway expects to start regular international flights from May 2018, initially to Tehran, Kiev, Minsk, Tel Aviv and Dubai. “This year, flights to Russia are also scheduled for Moscow’s Zhukovsky airport, Samara and St Petersburg,” he reveals. From August, the airline is planning flights to China, through Urumqi to Beijing. Myway’s fleet currently consists of two Boeing 737-800s, with a third expected to join at the beginning of July and a fourth in December, Aptsiauri adds. The airline is also evaluating the purchase of a Boeing 777. Iran is hopeful that the new services to and from Georgia are the start of a long and fruitful relationship. “We are glad that Myway Airlines has operated this first flight to Tehran and hope this route will gain in popularity,” says Mohammedizo Fardi, deputy director of United Airports of Iran. “Services between Tbilisi and Tehran should not be regarded as a short-term prospect. Indeed, we hope that our cooperation will be further deepened and that the number of flights will increase. We believe that our cooperation will continue in the future,” he adds. Myway Airlines’s Air Operator’s Certificate (AOC) was granted in January of this year, with the certificate of transportation following on in February. Currently, up to 100 personnel are employed by the start-up airline, but this number is expected to increase sharply so that, by the end of this year, it could be employing up to 250 people across its expanding network. According to Simon Jambazishvili, head of Myway Airlines’ flight service department, the airline is fully staffed with Georgian pilots and technical personnel. “I think that a major achievement of Georgian aviation is to support the return of Georgian homeland pilots who have been forced to work overseas for years,” Jambezishvili adds. 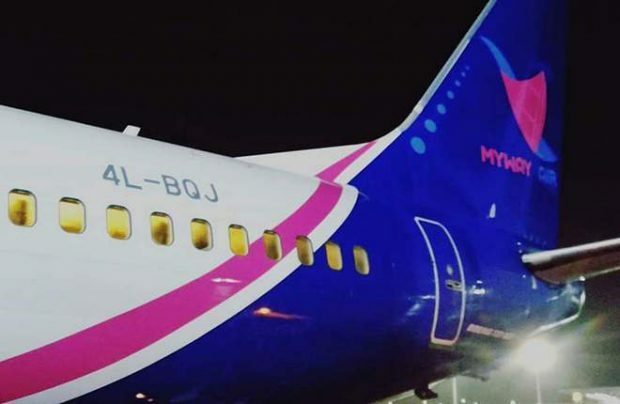 Tbilisi-based Myway Airlines, founded by China’s Hualing Group, is slated to provide point-to-point travel from Georgia to Europe, Middle East, Asia and CIS countries. During the first phase of its development, the carrier is planning to launch flights to Middle East and CIS destinations, while in the second phase new routes will be opened to selected destinations in Europe. During the third phase flights to China and USA are intended to be launched.